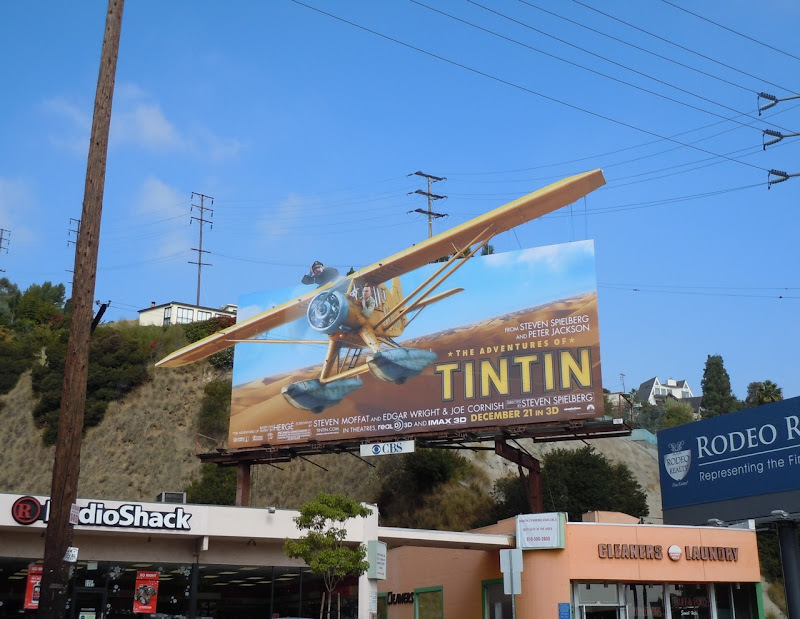 Some billboards just have amazing stand-out and make you go "Wow! 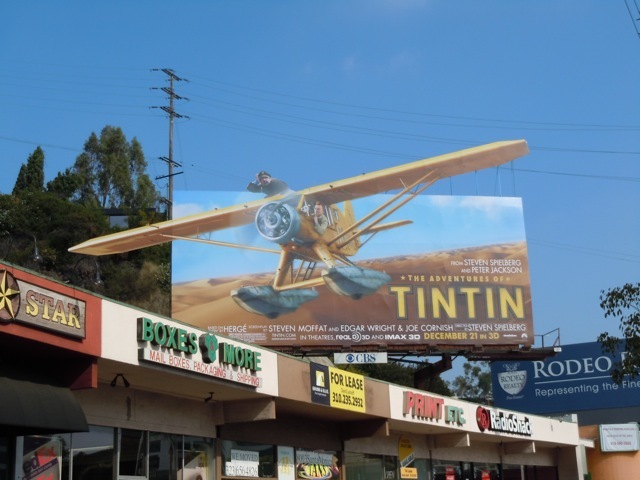 ", and that's certainly true of this special extension seaplane billboard for The Adventures of Tintin. 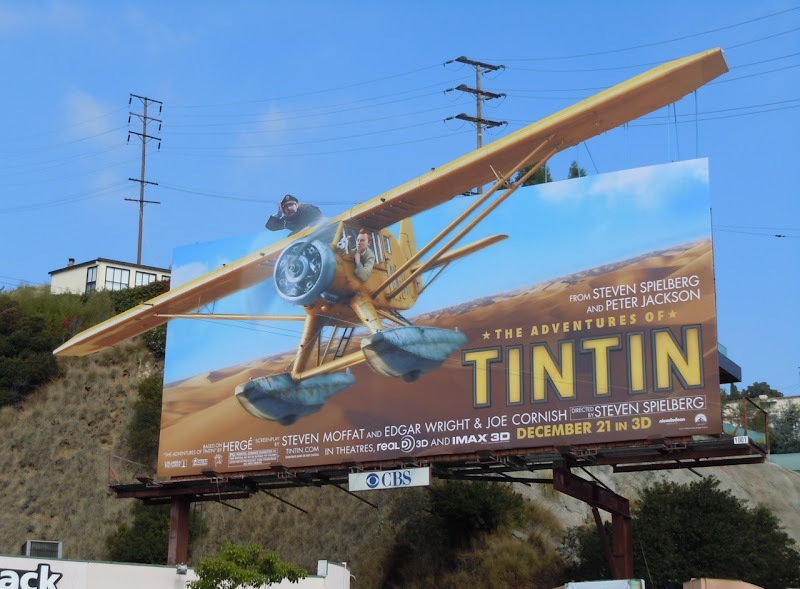 This eye-catching billboard certainly gets you excited for the new animation movie based on Belgian artist Hergé's popular character, 'Tintin' (not to mention his loyal dog 'Snowy' and 'Captain Haddock'). Master filmmakers Stephen Spielberg and Peter Jackson bring this treasure hunt to discover The Secret of the Unicorn to the big screen. 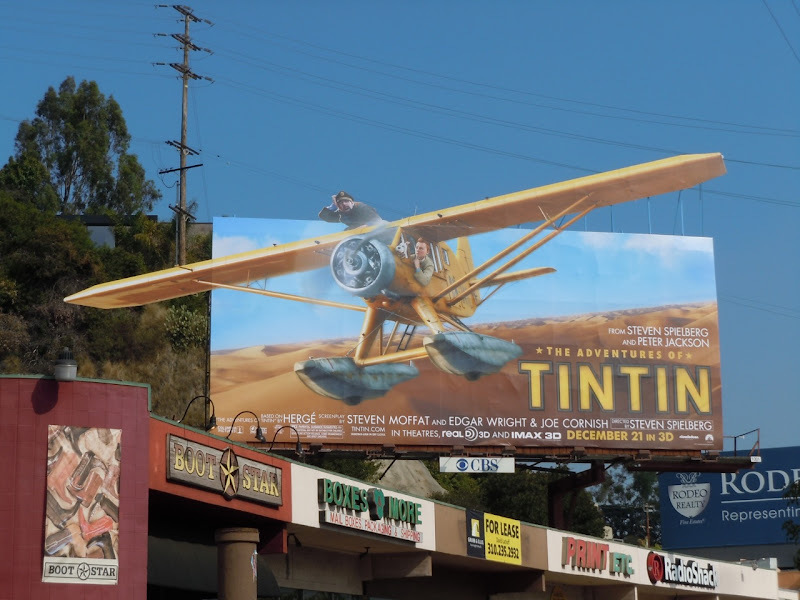 The characters take flight in this special billboard, snapped along Sunset Boulevard at the top of La Cienega Boulevard on the day after it was installed on November 15, 2011.